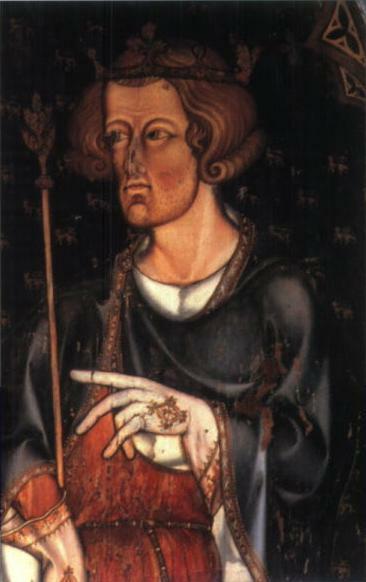 Picture at Westminster Abbey, from during the reign of Edward I, thought to be an image of the King. Margaret de Monthermer, mar John de Montagu and had issue. Princess Elizabeth, born 1282, mar Humphrey de Bohun, 4th Earl of Hereford and had issue. 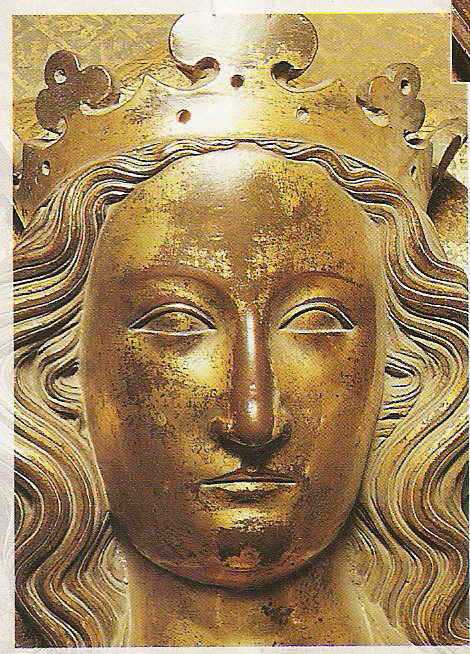 Edward II, born 1284, reigned 1307-27. Elizabeth Seagrave, mar John Mowbray, 4th Lord Mowbray and had issue. mar 2ndly (legally, another mar was anulled) to Edward, The Black Prince and had issue. 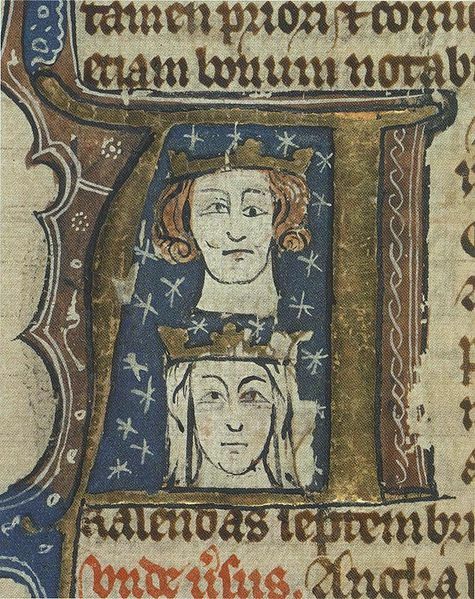 Early 14th century manuscript showing Edward I and Eleanor of Castile. Tomb of Edward I circled in blue. 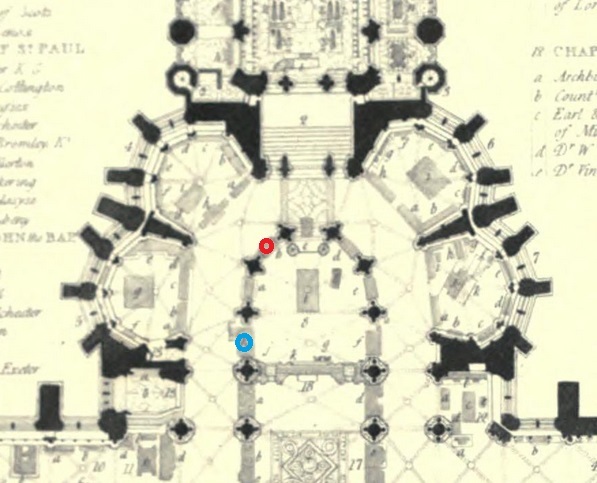 Tomb of Eleanor of Castile circled in red. View from outside the Chapel of Edward the Confessor. 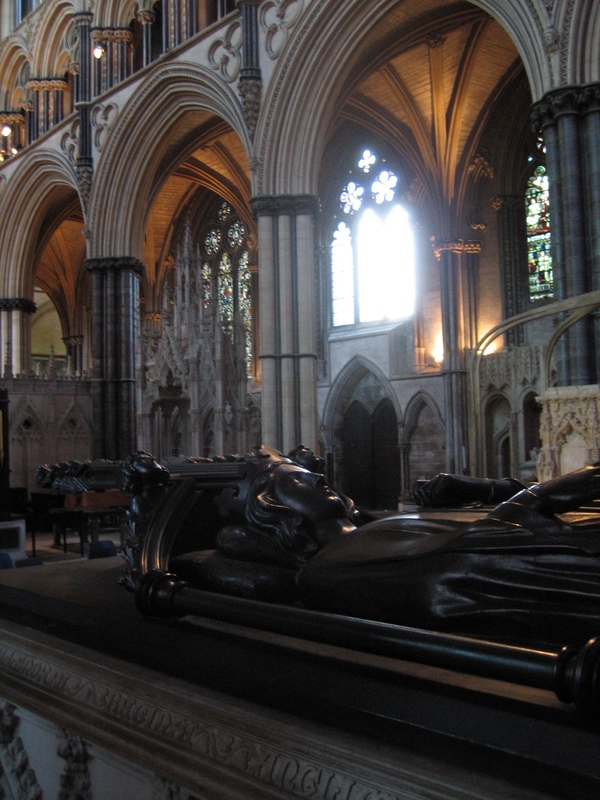 Tombs of Edward I (centre, with stairs) and Edmund Crouchback (right). From facing p.276 in [Brayley, vol.2, 1823]. 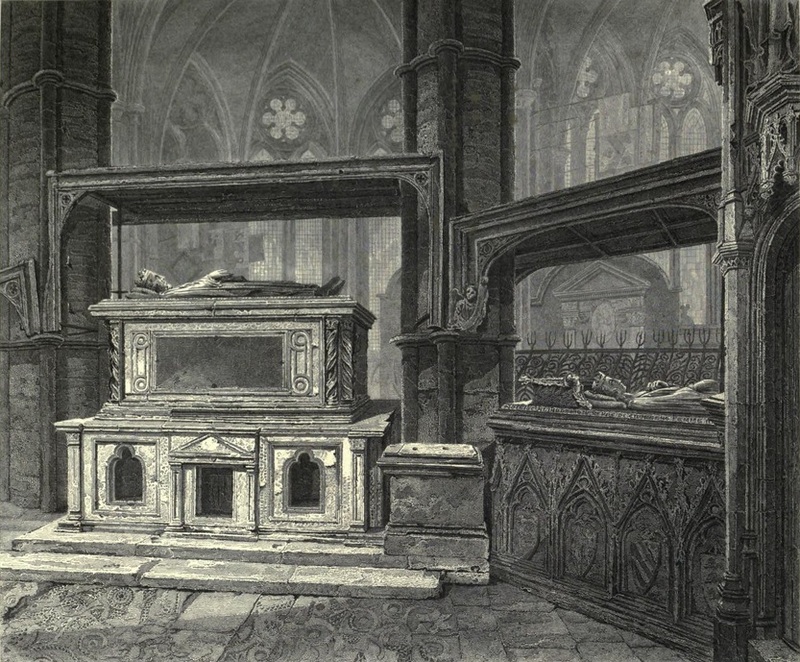 Tomb of Edward I (right). 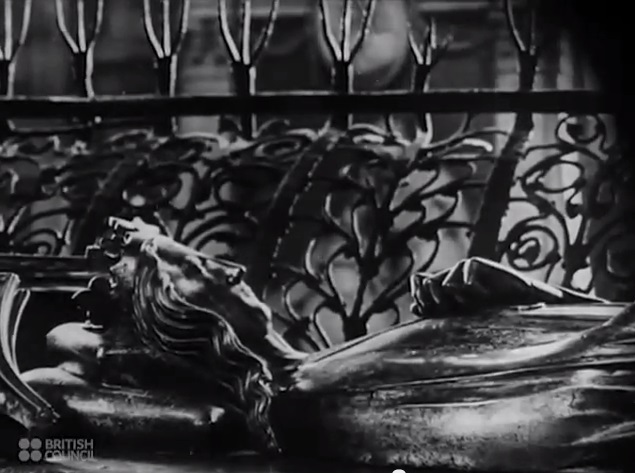 From 11:44 in 1945 film. 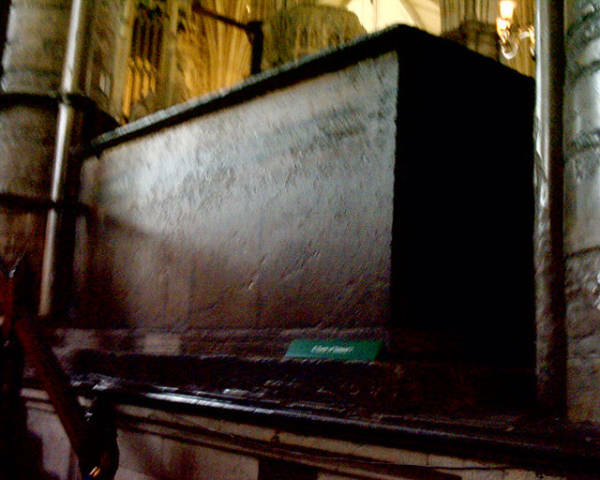 Tomb of Edward I in Westminster Abbey. 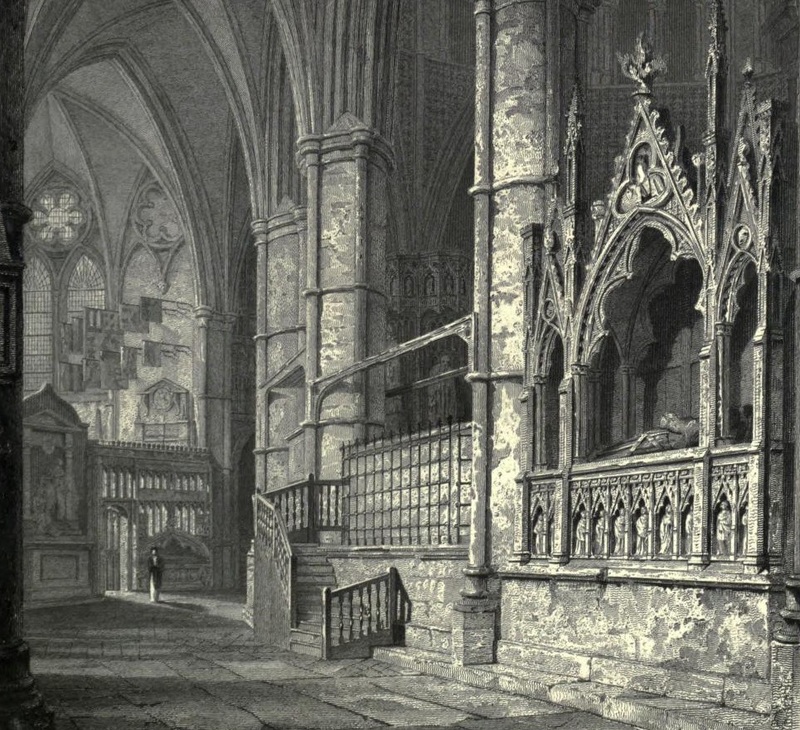 The opening of Edward I's tomb in Westminster Abbey in 1774 by the Society of Antiquaries. Tomb of Henry III (left) and Eleanor of Castile (right), from inside the Chapel of Edward the Confessor. From facing p.76 in [Brayley, vol.2, 1823]. 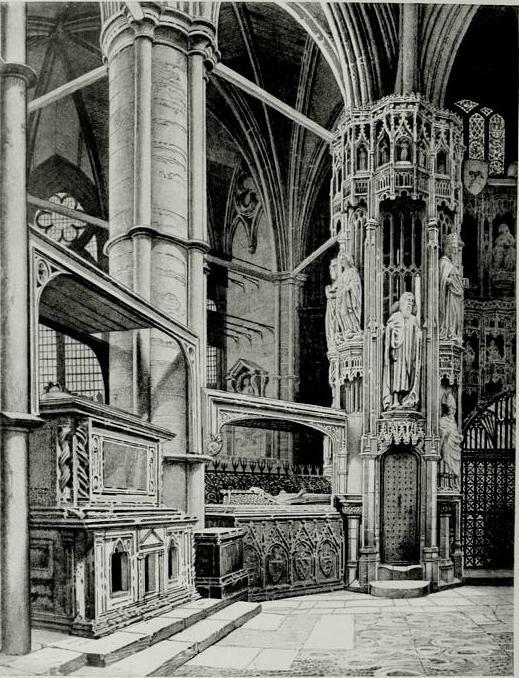 Tomb of Henry III (left) and Eleanor of Castile (centre), from inside the Chapel of Edward the Confessor. Drawing from p.108 in London, past and present (1916). Also p.41 in Pictures of London (1919). 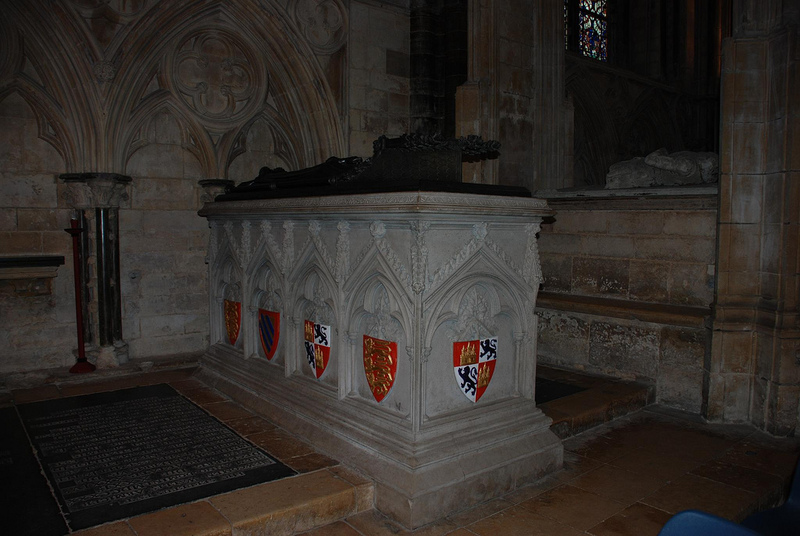 Outside view of tomb of Eleanor of Castile. 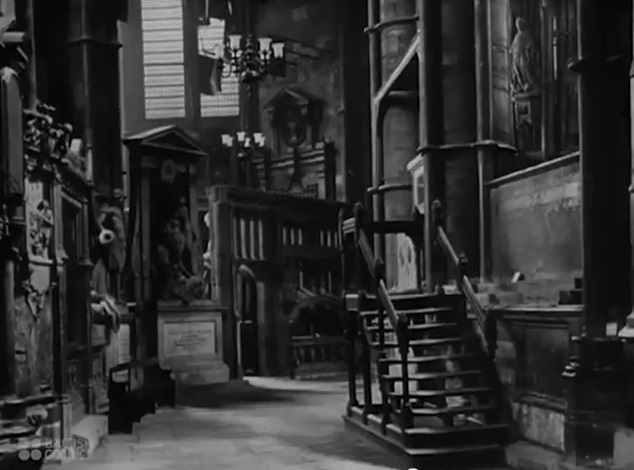 From 11:38 in 1945 film. 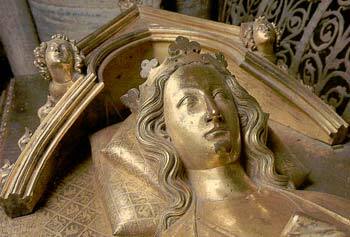 Tomb of Eleanor of Castile. 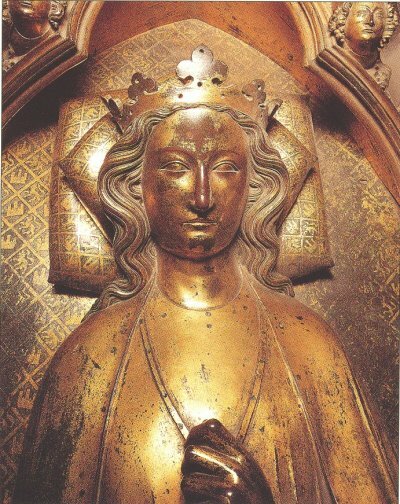 Effigy of Eleanor of Castile. 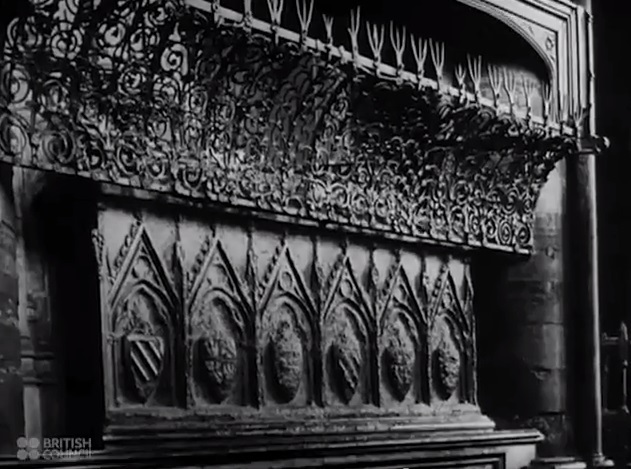 From 11:25 in 1945 film. 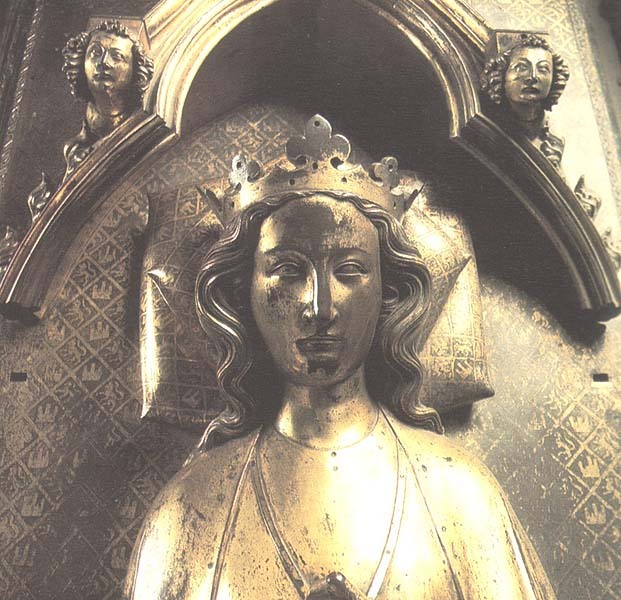 Effigy of Eleanor of Castile, Westminster Abbey. See other shot from here. 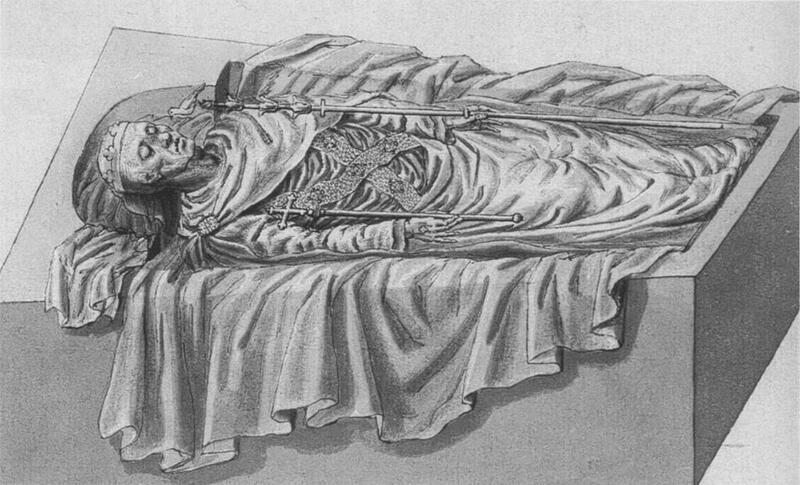 Drawing of the above effigy of Eleanor of Castile, Westminster Abbey. Originally from Stothard's Monumental Effigies. See also a cast of the effigy at the Victoria and Albert Museum. 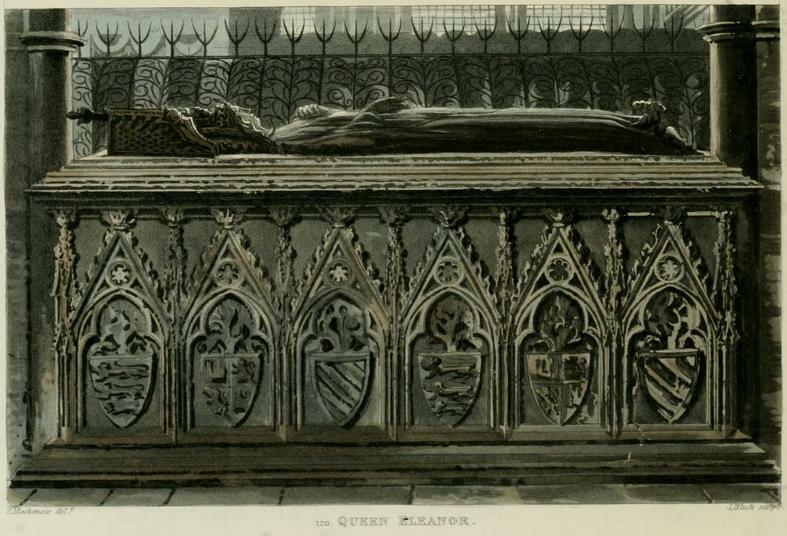 Tomb of some remains of Eleanor of Castile, Lincoln Cathedral. From Lauren Elliott. Used with permission.